Want to experience intensified orgasmic pleasure? 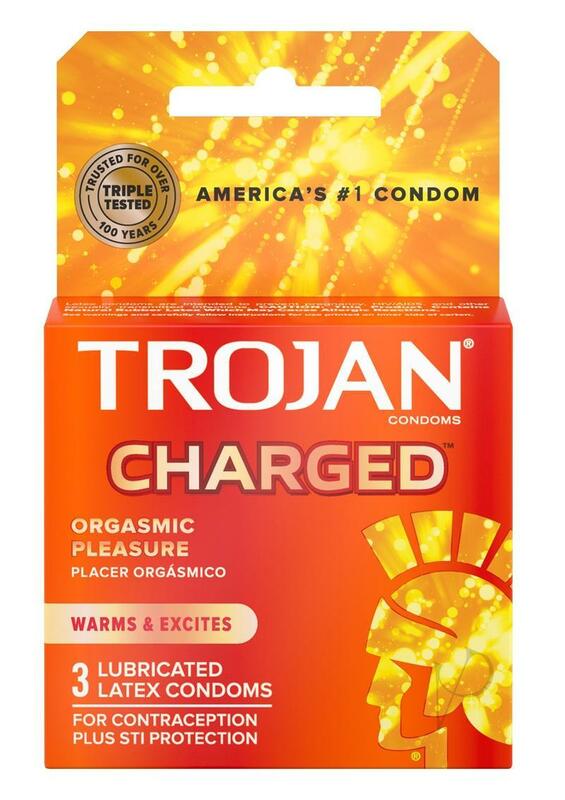 Designed with deep ribs and an intensified lubricant containing Ginger, Maca and L-Arginine, Trojan Intensified Charged Orgasmic condoms warm and excite to guarantee satisfaction and pleasure beyond your wildest dreams. The condom's deep ribs provide maximum stimulation while the intensified lubricant on the inside and outside of the condom thrills both partners. Get charged and savor the orgasmic pleasure.